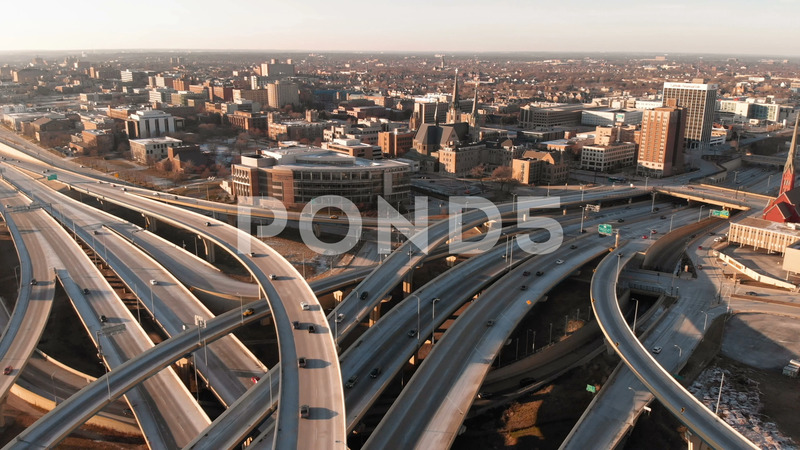 Description: Aerial view of highway in american city at dawn. Downtown Milwaukee, Wisconsin, United States. Drone shots, from above.